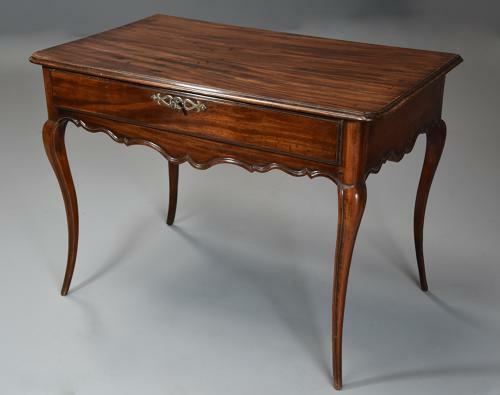 This table consists of a finely figured walnut top with a moulded edge. This leads down to a long pine lined walnut drawer also with a moulded edge with steel escutcheon and original lock and key leading down to a shaped and moulded frieze, this also carried round to the sides. The table is supported by four elegant cabriole tapering legs, also all having a moulded edge. This table is in excellent condition for age, has a wonderful original patina, is of stable construction and can go straight into a home.